The word “home” does not simply mean the physical structure in which one lives. “Home” represents happiness, family, love, emotional security, and familiarity. When all of these are taken away, yet a person possesses a strong foundation, resilience and hope, a person’s life can be rebuilt. Matthew Fraser is one such person. Mr. Fraser is an exceedingly well-educated man, with degrees from universities in Canada, Britain, and France. In 1985 he went to Paris to earn his doctorate in political science at The Institut d'études politiques de Paris, known colloquially as “Sciences Po.” He spent the next six years there. Most of us who have had the opportunity to be a student fondly recall that period of our life, and Mr. Fraser is no exception. That time becomes intrinsically wrapped up in our memories with a sense of place, popular culture, and friends. Mr. Fraser, a British-Canadian, returned to Toronto and became a newspaper journalist. He met Rebecca Gotlieb, an attorney, at a dinner party in the mid-1990s. They fell in love, married, and shared a life together. Mr. Fraser and Miss Gotlieb were raising her son David, from her first marriage, and had another member of their family: Oscar, a Bichon Frisé. Tragically, in January 2003 Miss Gotlieb fell ill, was diagnosed with vascular cancer, and died within a fortnight. David, then age ten, went to London to live with his father. 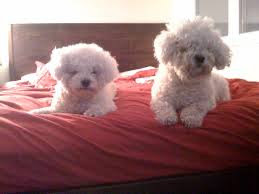 Mr. Fraser was so bereaved that he decided Oscar needed a companion, and he adopted a second Bichon who he named Leo. His career as a journalist and co-host of a weekly television news show had changed as well. 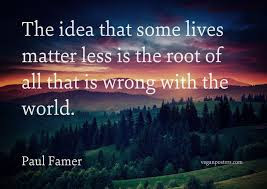 With nothing left for him in Toronto, in 2006 Mr. Fraser accepted a part-time position as a research fellow in Fontainebleau, France just thirty-five miles south of Paris. 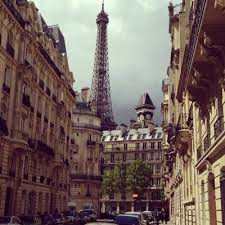 And Paris was an old friend. 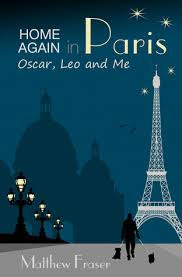 He brought his two best friends, Oscar and Leo, with him. By far, the most satisfying aspect of this memoir is Mr. Fraser’s relationship with his two bichons. His “furry kids” are his link to the world, the world of nature, the world of people, and the world of the living. Mr. Fraser manages to inject every one of the ten chapters of his memoir with exquisite details of French life. This memoir is very exciting and enjoyable on an intellectual level. Mr. Fraser’s prose is both smart and pleasing. Each walk with Oscar and Leo is an opportunity for Mr. Fraser to acquaint the reader with aspects of French history, as well as a chance to reveal more personal encounters with very distinctive personalities in Paris and Fontainebleau. For example, he goes on a tour of The Cimetière des Chiens et Autres Animaux Domestiques, a pet cemetery founded in 1899. It is the final resting place of some 40,000 animals, including the canine film star Rin Tin Tin. Mr. Fraser contrasts this monument to how much the French cherish their pets with a barbaric annual French custom. French families typically will get a puppy for the children at Christmas. Then, when summer arrives, so that nothing interferes with the all-important one-month summer “vacance” (vacation), these same families will leave 60,000 pet dogs on the side of the road. Mr. Fraser is most adept at depicting the many paradoxes which lie at the basis of French life. The reader cannot help but root for Mr. Fraser. He is a charming, gracious man who is unafraid to reveal his humanity, in how he acted and reacted to several dramatic, devastating events. He is not destroyed because he has reconstructed his home. It was a pleasure to be a guest in that home. You are so right about what "home" means. It could be as simple as "where the furry kids are." Love the review.